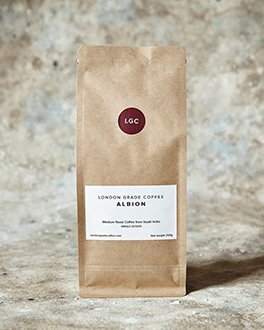 Sweet and spicy , Albion is a medium-roast blend for drinking throughout the day. It deploys all the qualities of high-grown coffee, which ripens slowly, allowing the sugars greater time to develop. Smooth, with vanilla and a gentle chocolate flavour, it has a clean finish with only a hint of bitterness. Delicious, easy on the palate and ideal for cafetière or filter. A dark-roast blend with layers of flavour and a long, dark chocolate finish. Spicy, nutty, sweet and vibrant in the mouth, Tokenhouse is the ideal after-dinner coffee, or for drinking when you want a stronger flavour with a trace of bitterness in the finish. It takes the sweet, rounded qualities of Albion and adds greater depth. 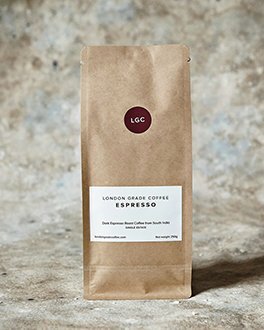 Powerful, rich and intensely flavoured espresso roast beans. Sweet, spicy and delicious with thick, velvety crema. The finish is dark chocolate and caramel, with pleasing bitterness in the crema. 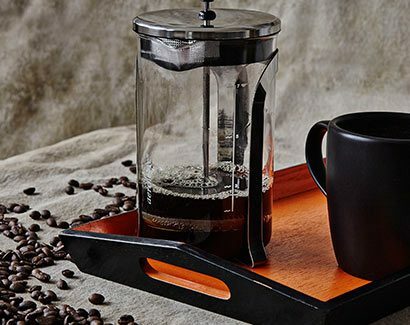 Ideally brewed in an espresso machine or stovetop, but delivers good coffee from a filter. Works well with foamed milk, but stands out as an espresso. 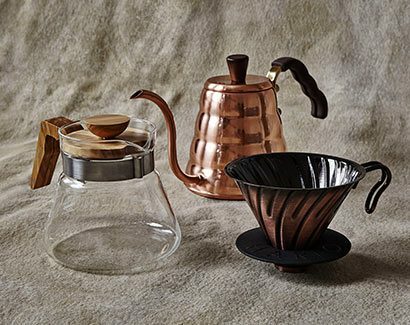 See our brew guides below for the best results when brewing our coffee at home, and the best equipment with which to brew your coffee. You can be confident of a decent cup of coffee in Italy, and we knew that the Italians buy most of their coffee beans from India. Disappointed with the quality of coffee available to brew at home, we set off to Southern India to find a coffee estate which could supply us. 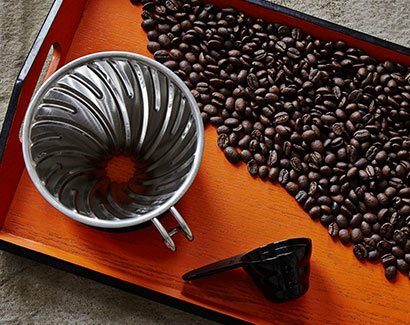 The act of brewing coffee should be a pleasure, a simple ritual to enjoy. We have assembled a collection of brewing equipment to enhance the brewing experience and to deliver the best cup of London Grade Coffee. Short guides to brewing our coffee. Grind, quantity, technique.